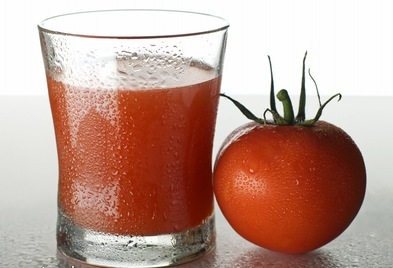 Why do we drink tomato juice on a plane? I took my first long distance flight when I was about 8 years old. I remember very well that we must have gone 4 or 5 times to see the stewardess to get one more can of tomato juice. This is the funniest and most bizarre thing. I don’ think there is any valid and definite answer but it is a fact; we all have (and still!) drank tomato juice during flights. We NEVER order a tomato juice in a restaurant and only occasionally buy some for home because we know there will always be that girl in the group that doesn’t feel like drinking alcohol. So why does it feel so natural in a plane? Try Googling the question and you will laugh at the number of blogs and forums raising the question. There are even dedicate sites trying to figure out an answer! You will find as many theories on the question as there is about Area 51. From the most basic one to the most scientific one. Can you believe that Lufthansa has even commissioned research on the matter? I personally could not figure out an answer. I’m the typical case that does order tomato juice on a plane but never on the ground. Or is it just a Bloody Mary fantasy? Are we unconsciously changing our consumer behaviour when travelling? Do we have different tone of voice? Are we on a different diet? Higher libido? Are we acting differently when staying in a budget hotel or luxury 5-star hotel? Please feel free to share your opinion, your in-flight tomato juice experiences or other specific habits you have when travelling. Don’t be embarrassed, we’ve all been there. ← What did the Internet REALLY change in the hotel industry? I just totally agree with your point. I only drink Tomato juice in a plane. As far as I remember, I’ve always drunk tomato juice in airplanes. For me tomato juice = airplane. For me, it is not especially my behaviour that changes, but I have kind of a ritual. As Proust did, I have facts, symbol and food that remind me holidays, trip and good times, so I’m always glad to drink a tomato juice, because it means “you are on holidays”. Thanks a lot Florian for sharing your experience. I think your point about “rituals” is spot on! It doesn’t answer the question on why we all have this very same ritual on a plane but definitely food for thoughts. Oh my God I drink tomato juice only in planes too! And I thought it was only me! I noticed that I would never think of drinking tomato juice if I don’t see or hear someone ordering one. I guess we are all very easy influenced people. Maybe the color and the texture is like a Madeleine for Proust: we know we’re on holiday and going to spend some quality time. Then comes another question: do you drink tomato juice when you’re on business trip as well?